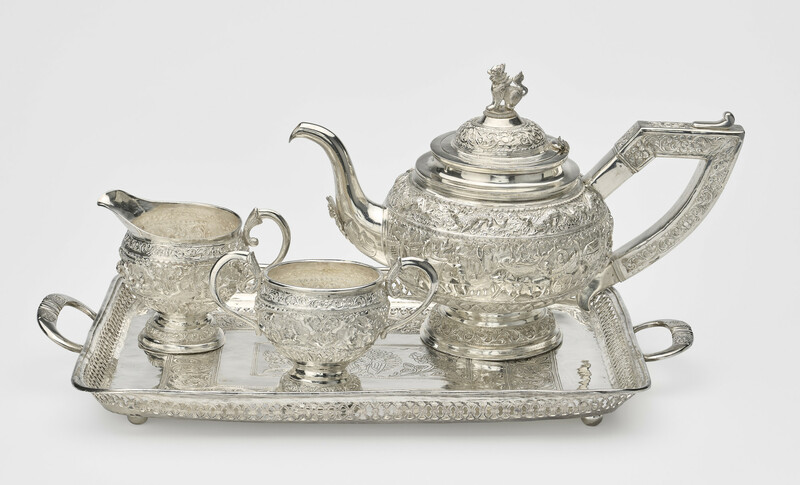 Burmese silver tea set consisting of a teapot with a kylin finial, angular handle and swan-neck spout; a milk jug with a wide spout and scroll handle; a sugar basin with two scroll handles. All embossed and chased with scenes of Burmese life, animals and foliage. On a tray with pierced sides and two loop handles.